Removing all the makeup and clean your face off properly at the end of each day is very important.. Cleansing the skin each day will purify your pores and reduce the likelihood of waking up with bad acne in the morning. I was using makeup remover wipes until now along with MAC cleanse off Oil. After finishing MAC, I wanted to try a different makeup remover. 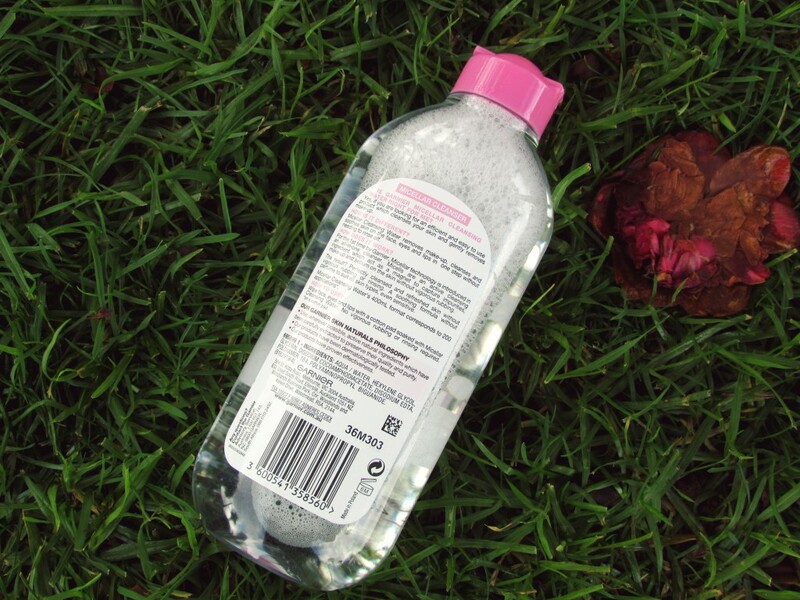 Micellar water has become the latest launch in the arena of make-up removal – used by make-up artists. Micellar water promises to thoroughly cleanse the skin, even removing stubborn mascara, eye make-up, theater makeup, without drying the skin or irritating sensitive faces and eyes, thanks to the presence of ‘surfactant’ molecules rather than alcohol. The Holy Grail of micellar waters is Bioderma. Now, I haven’t used Bioderma. So, I can’t compare it with this. But I have used Simple Micellar water which works quite nice! 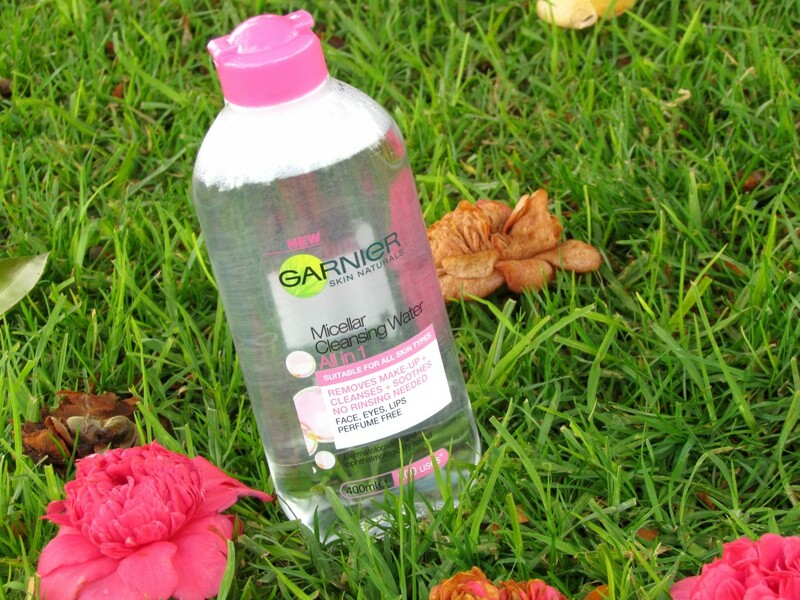 In this review, I will be taking about my experiences using this pocket friendly Micellar Cleansing Water from Garnier. I got this from Warehouse NZ for 12.99 $NZD. Now, there are 2 variants of this. One with a green lid and other is this one. Green is perfect for oily skin. 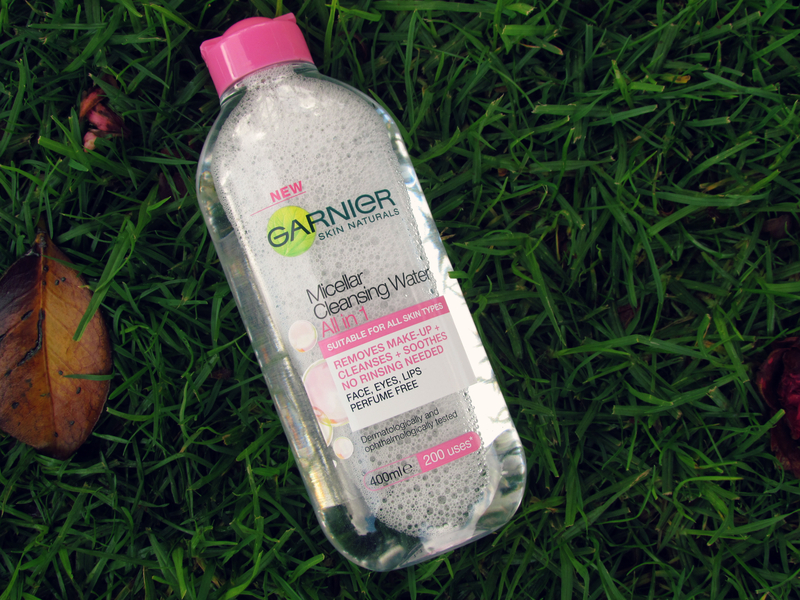 Is Garnier Cleansing Micellar Water for me? Yes, if you are looking for an efficient and easy to use product that cleanses and removes make-up gently in one step. 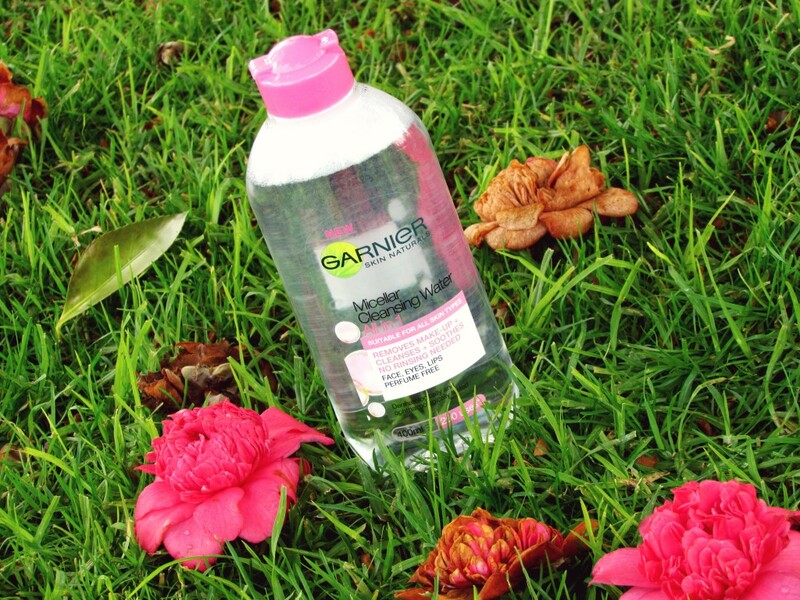 For the first time, Garnier introduces the Micellar technology in an all-in-one cleanser. Like a magnet, the cleansing agents capture and lift away dirt from the skin. No need to rub to remove impurities and make-up. Perfectly cleansed and refreshed skin without rubbing or rinsing. 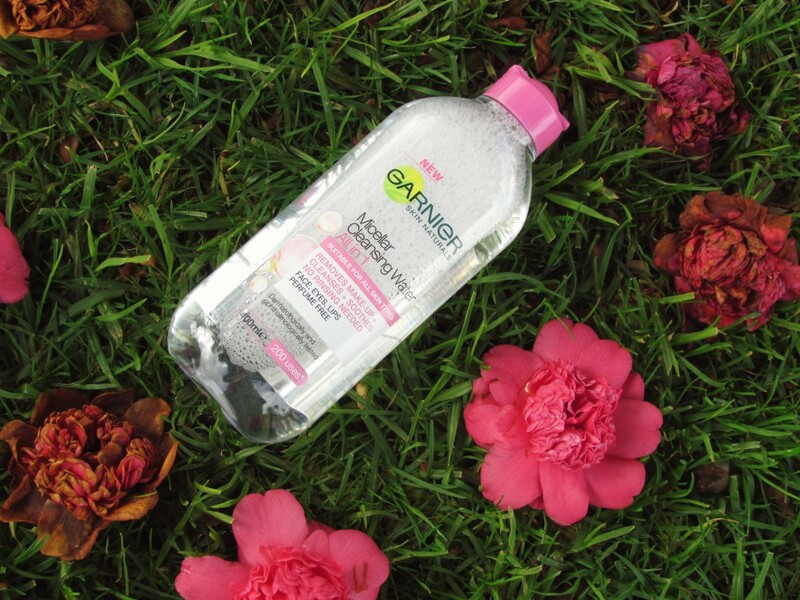 Garnier Cleansing Micellar Water has a soothing and fragrance free formula that suits all skin types, even sensitive. 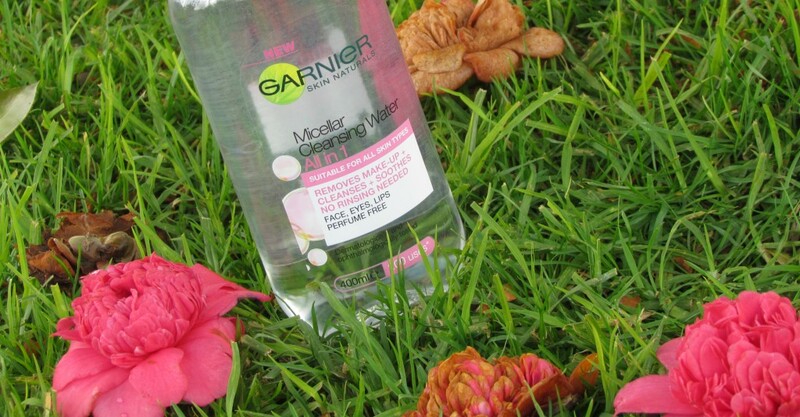 Directions: Apply Garnier Cleansing Micellar Water to a cotton pad and wipe the face, eyes and lips. No rinsing required. More Pictures and my experience using it.. The first thing that I noticed is the size of the bottle.. You get 400 ml of product for your money which makes it an even greater deal at just 12.99 $NZD (I got a 30 % off from Warehouse NZ). The bottle even claims that the 400 ml of product should give you 200 uses. The product comes in a clear plastic bottle ; nothing fancy about the packaging. 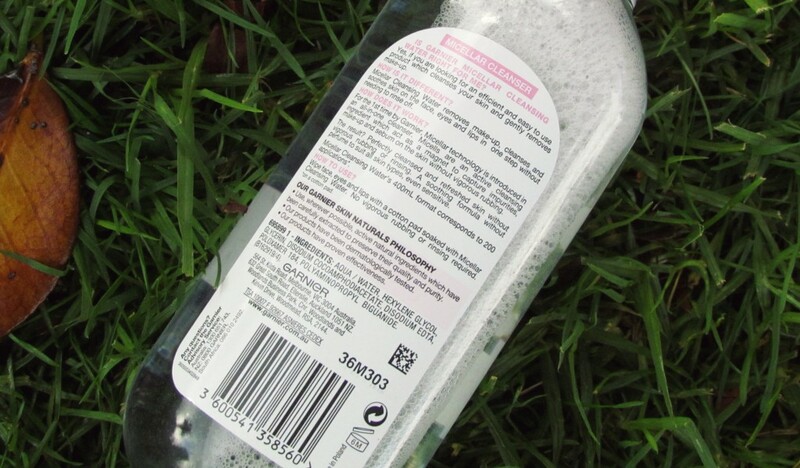 All you need to do is take a little bit of the cleansing water onto a cotton pad and you’re good to go. Gets all my makeup off at the end of the day. Every night I use this to remove all my makeup that I put during the day. This one here didn’t irritate my sensitive skin, leaves my skin feeling nice and soft and clean. Another loving fact about this is that it is fragrance free- I love it! This can be used to remove makeup from face, lips and eyes and is perfect for sensitive skin as they are soap, and fragrance free. It’s very gentle on my sensitive skin and doesn’t sting my eyes a bit. Overall, micellar cleansing water is perfect for those nights when you just can’t be bothered taking your makeup of with a traditional wash off cleanser that needs to be rinsed off. Great product which is considered to be the dupe of Bioderma. This can be used to remove makeup from face, lips and eyes and is perfect for sensitive skin as they are soap and fragrance free. Doesn’t sting my eyes a bit. Total love and recommend it to everyone who are looking for a affordable makeup remover! Have you tried it yet? Any irritations or other to report?